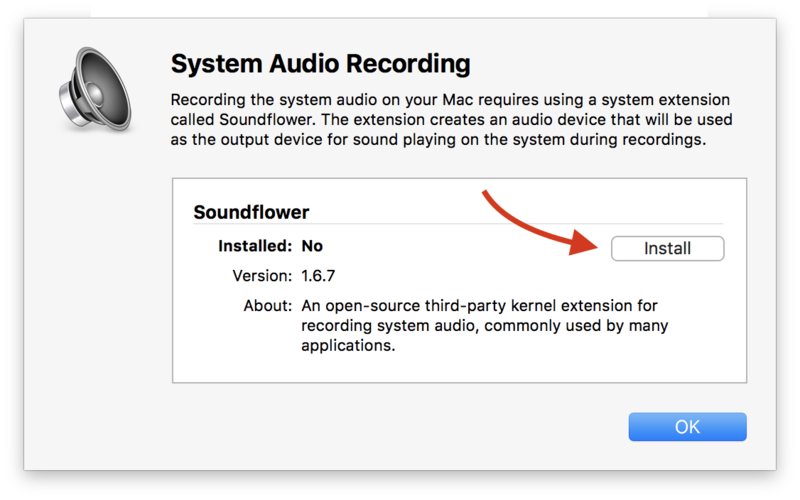 The Soundflower extension for macOS must be installed to record the "system audio" playing on your Mac. NOTE: Screenflick Loopback is now the preferred way to record system audio on your Mac. 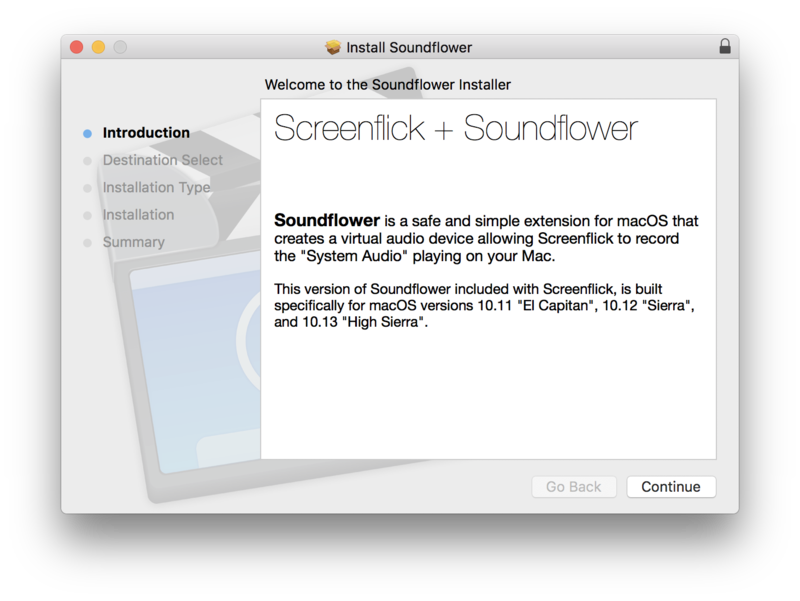 Screenflick will continue to work with Soundflower if Screenflick Loopback is not installed. Click on the "Install" button in the sheet next to the Soundflower extension. 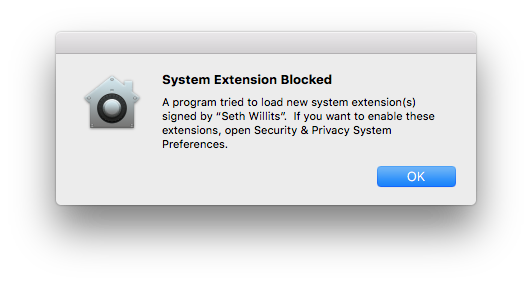 On macOS High Sierra, after the installation process is done, you may see a dialog titled "System Extension Blocked". This is normal and occurs with all system extensions being installed, due to the new security features in High Sierra. Why does it say "Seth Willits"? The Soundflower extension being installed is code signed for security by "Seth Willits"—the developer behind Screenflick—which is why this name is shown. In fact, if you email Araelium's support address, you'll be talking to Seth directly. The reason Seth's name is shown rather than "Araelium Group" as you might expect, is due to the way Apple's Developer ID system works, and is the same reason you see many developer names in the App Store rather than company names. 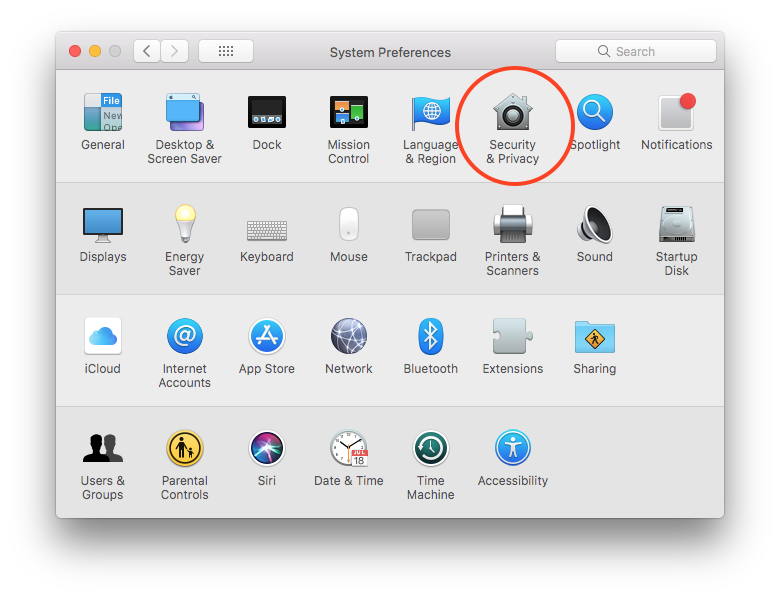 Open the "Security & Privacy" pane in System Preferences. 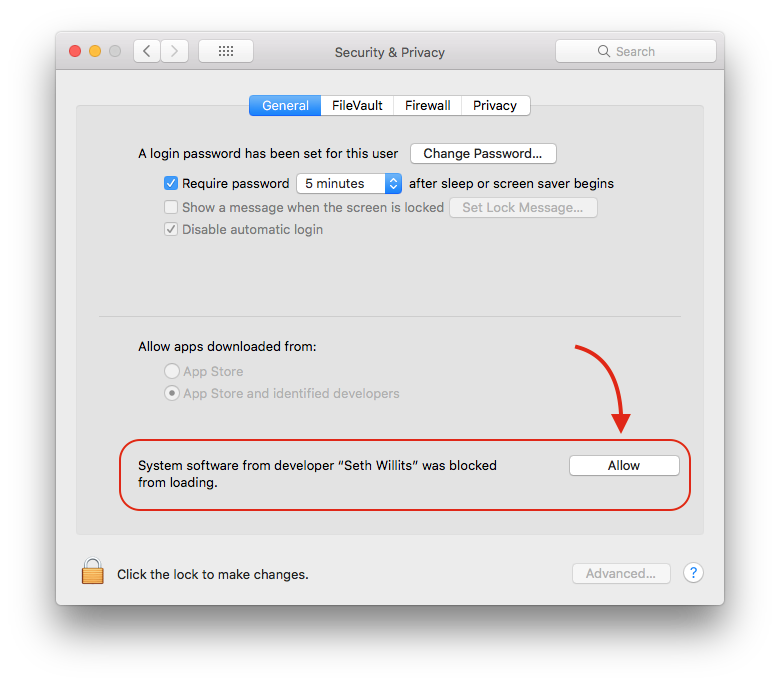 Click the "Allow" button next to "System software from developer Seth Willits was blocked from loading." Once the extension is allowed, you can use Screenflick to record your system audio!